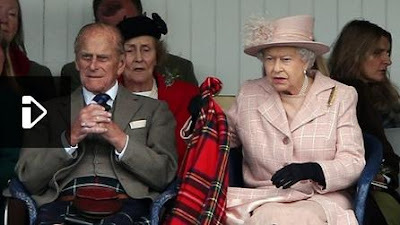 The Queen, accompanied by the Duke of Edinburgh and the Duke of Rothesay, attended the annual Braemar Gathering in Scotland. Click above for a video and report from BBC News. A second public outing for Prince Philip - he's looking well, no? And another for her event-specific brooch, the Braemar Feather - never sure that I like this one, but it does look perfect with this event in the background.